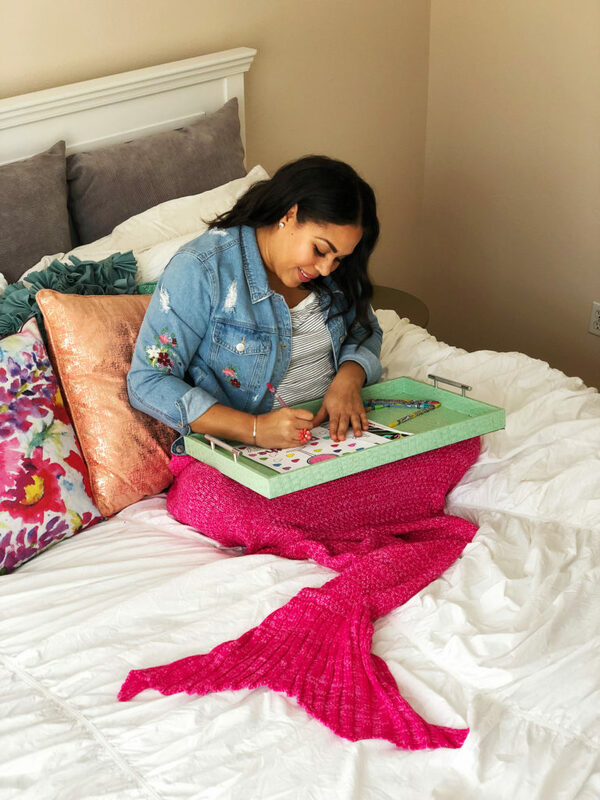 For the last few years, I’ve been making it a priority to practice self care and have talked about it on the blog several times. Self care basically means taking time out of your busy schedule to take care of yourself. It helps keep you grounded, sane, confident, refreshed, and feeling like your best self, so you can be your best self! 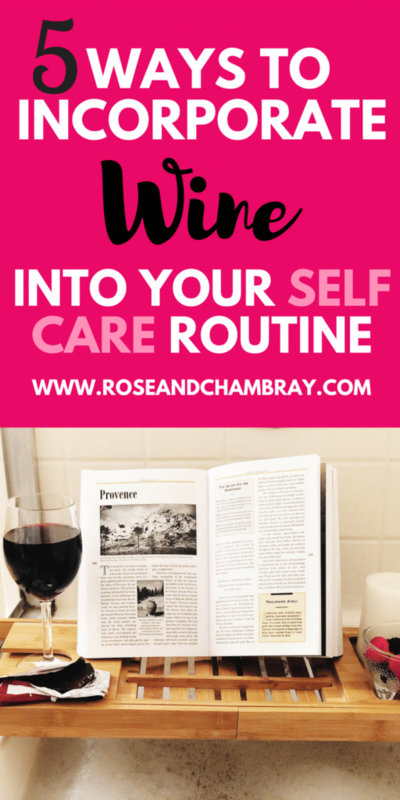 I love to pair my self care activities with wine, and if you’re here, I’ll bet you will too. 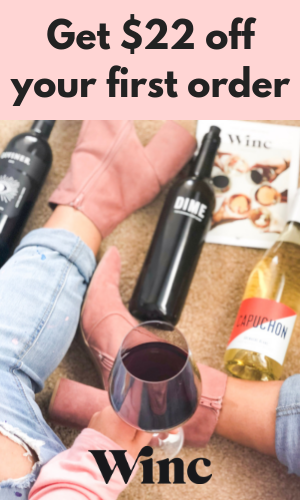 Wine is loaded with antioxidants and has tons of health benefits like lowering mortality rate, lowering chance of heart attack and lowering the risk of a stroke (read more here). When consumed in moderation, it’s the perfect companion for many essential self care activities. for the safest and chicest self care experience. Cooking is one of my favorite stress-relieving activities, but for some people cooking IS the stress! 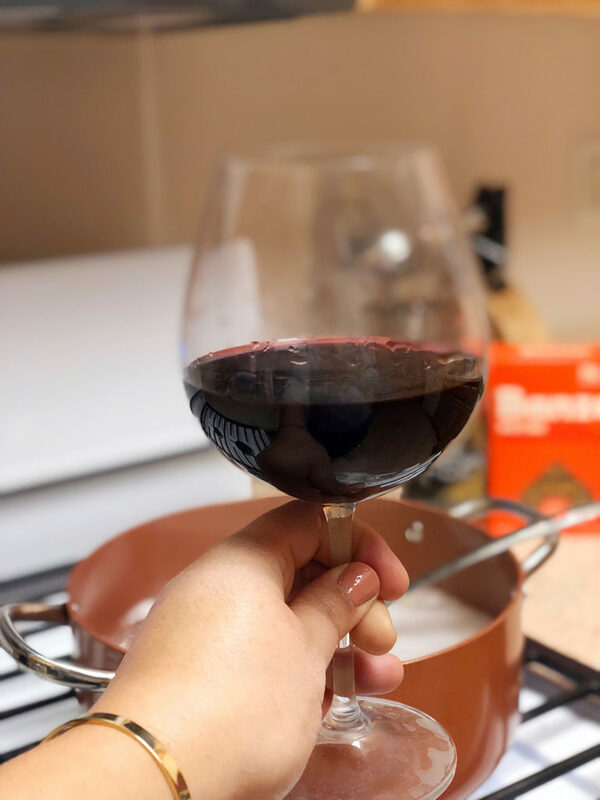 Either way, drinking a glass of wine while whipping up your favorite meal will help you relax and might even get your creative juices flowing even more. 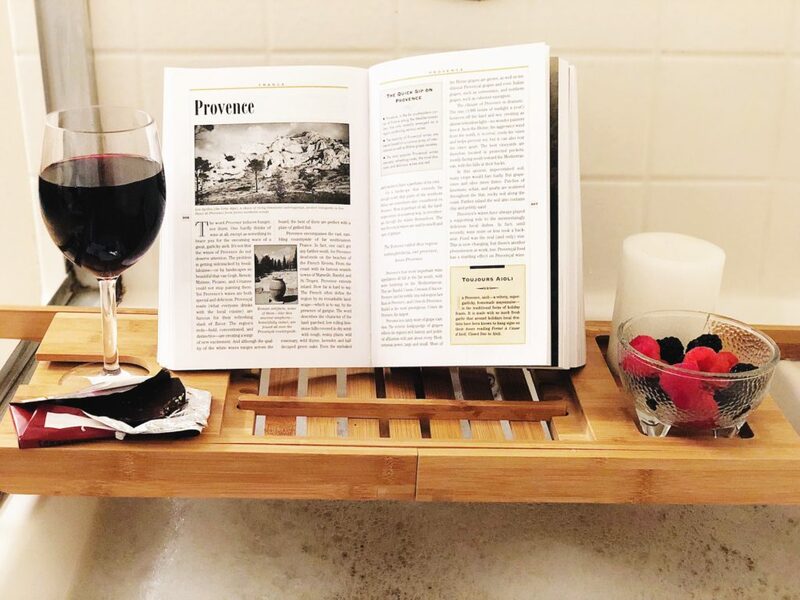 Reading is one of the most popular self-care activities, so why not switch up the pages and grab a book about wine! ,and Cork Dork. 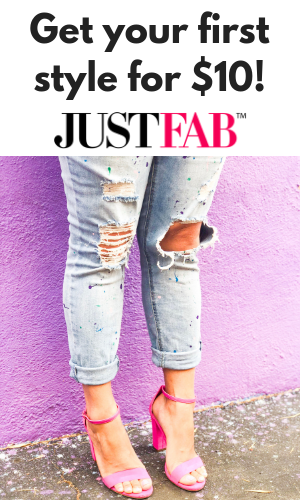 And as always, you can always read up on wine here on Rosé & Chambray! or painting helps you get extra creative and care less about coloring outside the lines (literally). 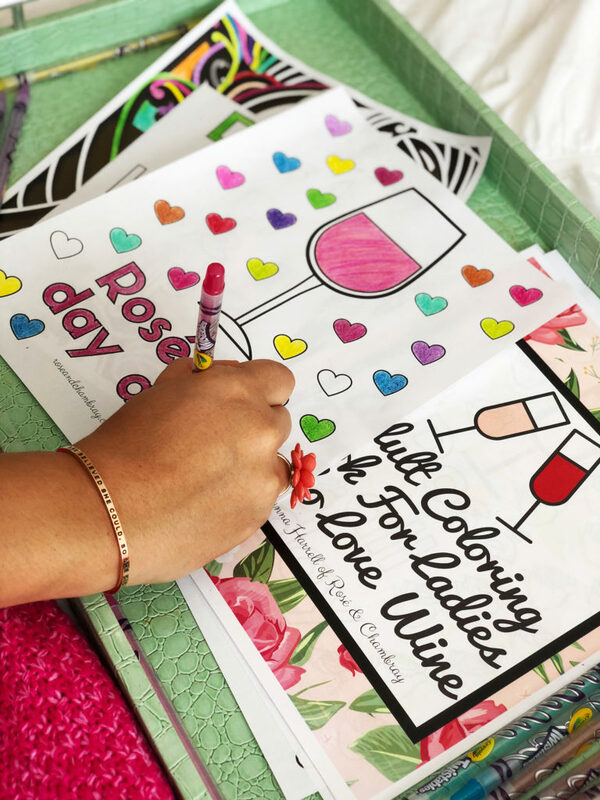 This is why I created an adult coloring book about wine, which you can do while sipping on your favorite glass of vino! Download it for free here. Self care isn’t just bubble baths, face masks and a trendy hashtag. It can also mean cleaning your house, paying your bills, studying for an upcoming exam or finally doing that thing you’ve been putting off for months (hello “storage” room). The reality is, sometimes we have to do less glamorous “self care” activities. Wine can certainly help make these tasks more enjoyable! 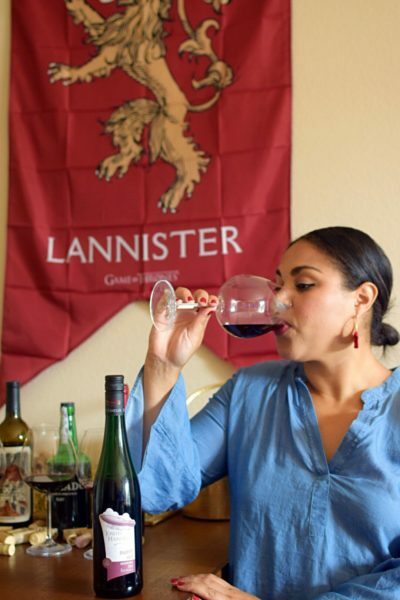 What is your favorite way to incorporate wine into your self care routine? Let me know in the comments below.